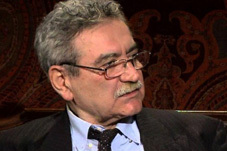 Well-known Georgian film director Giorgi Shengelaia has stated that he enters the October 28 presidential elections and if elected he will be focused on improving economic problems and will support increased pensions. Shengelaia’s candidacy has already been submitted to the Central Election Commission of Georgia by an initiative group. “I’ve decided to be registered as a presidential candidate because the country is in a complicated situation,”Shengelaia told the media. Giorgi Shengelaia promised that if elected he will increase pensions in the country. Shengelaia is a Georgian and Soviet film director. He has directed 14 films since 1961. His 1985 film The Journey of a Young Composer was entered into the 36th Berlin International Film Festival where he won the Silver Bear for Best Director. Thirty-two political subjects and initiative groups have already addressed the Central Election Commission to register 32 presidential candidates. Most of the names listed by the Election Commission are unknown or less known to the public. From the top opposition parties, candidates registered are David Bakradze from the European Georgia opposition and Grigol Vashadze from the United National Movement and nine other opposition parties. It remains unknown whether the current president Giorgi Margvelashvili participates in the race or not. The Georgian Dream ruling party has announced that they will not have their candidate in the elections and would support one of the independent candidates. The ruling party will announce who they will support after September 8. The opposition believes that the Georgian Dream will support independent MP, former Foreign Minister Salome Zourabichvili in the elections. It will be the last elections when people vote for the president as in the following years the president will be elected by delegates from Tbilisi and regions due to the decreased power of the president.